The Federal Aviation Administration is investigating after an unmanned aircraft crashed Tuesday near Dallas Love Field Airport. Roman Molina did not know what to make of the loud and large object he spotted falling from the sky in West Dallas. “We saw the big shadow coming through really fast. And it was throwing a lot of smoke,” Molina said. The roughly five-foot wide, radio-controlled flying wing crashed on the property of Alvarez Pallets in the 4700 block of Alexandria Lane. Should We Be Sending Drone Camera’s Into Potentially Hazardous Situations to Protect Human Life? An American freelance television cameraman working for NBC News in Liberia has tested positive for the Ebola virus and will be flown back to the United States for treatment, the network said on Thursday. With the Federal Aviation Administration (FAA) last week grantingexemptions for drone use in film production, we are guessing this won’t be the last time we cover an unmanned aerial vehicle promising fresh new ways of capturing footage from above. The team behind the PlexiDrone really couldn’t have timed its run any better, looking to shake things up with a snap-together drone capable of lugging a range of camera equipment along for the ride. 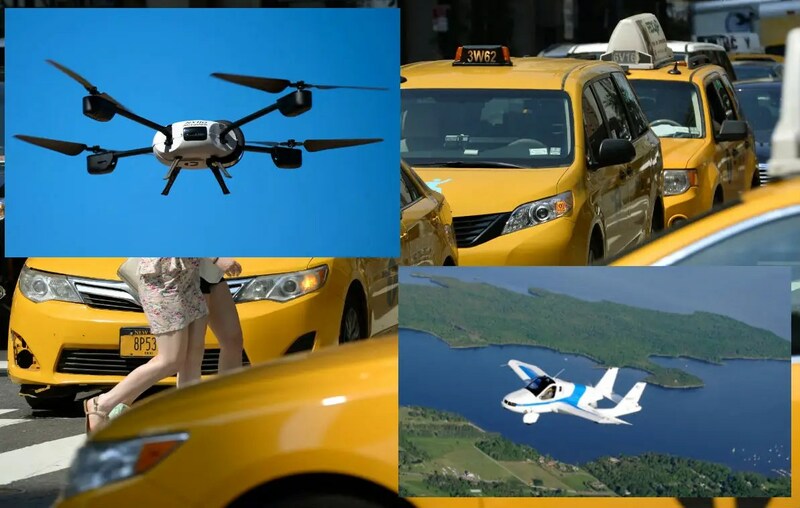 Business Insider/Getty Images/TerrafugiaDrones plus flying cars equals…drone taxis? If you’re comfortable with wagers, now could be the time to bet on the biggest transformation in how humans move around since we retired the horse from daily duty. Two major technological developments are converging: self-driving cars and semi-autonomous drones. Self-driving cars have enjoyed a more robust public rollout, thanks to Google and its appetite for investing in the future. In just a few short years, the search giant went from outfitting Toyota Priuses with bolted-on self-driving sensors to creating astand-alone driverless design — a Google Car — that eliminates the steering wheel and the brake and accelerator pedals. LOWER TOWNSHIP, N.J. (CBS) — A New Jersey man was arrested after police say he shot down a neighbor’s remote control drone. According to investigators, officers with the Lower Township Police Department were called to a home in the 1000 block of Seashore Road on September 26th to investigate the report by a resident that his remote control helicopter (drone) was shot down. The government plans to grant waivers to seven movie and television companies to use small unmanned aircraft in filmmaking, the first permits for commercial drone flights in the continental U.S., according to two people with knowledge of the plans. Technology from the Extreme Access System for Entry, a tethered drone developed by CyPhy Works and tested by the Army, is being applied to an even smaller drone for the Air Force. The US Air Force has awarded a contract to CyPhy Works, a Danvers, Massachusetts-based startup led by CEO (and iRobot co-founder) Helen Greiner. CyPhy will design and deliver a pocket-sized drone for use in search and rescue operations in collapsed buildings, tunnels, and other confined spaces and steep grades that may be difficult for crawling robots to negotiate. The drone, called the Extreme Access Pocket Flyer, will also provide a way to search for improvised explosive devices and conduct surveillance of tunnels and other spaces without the use of radio frequency controls. Google is planning to test Internet delivery by drone high above New Mexico, according to a government filing. On Friday, the company asked the Federal Communications Commission for permission to use two blocks of frequencies for the tests, which are scheduled to last about six months and begin in October. They will be conducted above an area of more than 1,400 square kilometers in the center of New Mexico to the east of Albuquerque. An NYPD helicopter had an 800- feet-high near-miss with a drone as the cops searched for a missing teenage girl in Brooklyn early Wednesday, law-enforcement sources told The Post. Just before 1 a.m., the chopper was hovering over 1240 Greene Ave. in Bushwick when it was forced to suddenly change course because of the drone, sources said. News broke last week that NASA is building an air traffic control system for unmanned aerial vehicles that could affect everything from Amazon’s delivery drones to agricultural drones. It turns out that it’s not working on the project alone: San Francisco drone startup Airware is helping. Airware head of global business development and regulatory affairs Jesse Kallman provided a few more details on the scope of the project, including that NASA and Airware will test many different types of drones with the system. The features of the software they will develop are not yet decided, but they will test aircraft spacing, collision avoidance and trajectory modeling. Texas EquuSearch has gotten permission from the Federal Aviation Administration to start using a drone to assist in the search for a missing Fort Worth woman. Use of the unmanned aircraft can start at 8 a.m. Thursday, said Tim Miller, founder and director of the Houston-based search-and-recovery team. The group joined the search this week for Christina Morris, 23. She was last seen on Aug. 30 at The Shops at Legacy in Plano. Her car was found in a parking garage there. The Namibian government has deployed three Falcon Unmanned Aerial Vehicles (UAVs) in conservancies to support the anti-poaching operations by the Namibian Defence Force (NDF) as part of a new ‘aggressive’ strategy to combat an upsurge in the poaching of elephants and rhinos. Namibia settled for the Falcon UAVs after successful week-long test flights on anti-poaching operations over conservancies around the country in February this year. The programme is funded by the World Wildlife Fund (WWF) through its Wildlife Crime Technology Project. Proudly powered by WordPress Theme: Visual - WordPress.com.